If you have a tooth that is quite damaged or weak, Dr. Burba may recommend a porcelain crown. This is essentially a dental restorative cover that is placed over the damaged tooth, serving the dual purpose of protecting the tooth and giving a more aesthetic appearance to your smile. 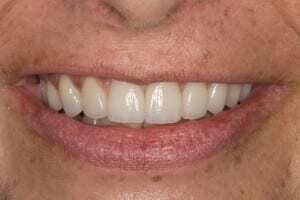 When you have work done on your teeth, you want it to look beautiful and natural. In years past that was hard to do with a crown. In order to make a porcelain crown strong enough to hold up under chewing pressures, it had to be fused to a metal foundation. The metal, of course, makes the crown opaque, where your natural teeth are translucent. 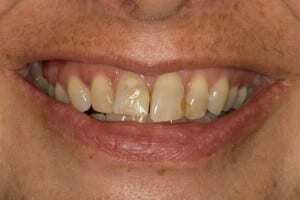 Another common problem with porcelain-fused-to-metal crowns is the dark line that develops at the gumline. Though dentists try to hide it, it will eventually become visible. New bonding technology has now made it possible to construct crowns that are made entirely of porcelain, so you no longer have to worry about the issues that come when you fuse them to a metal foundation. Who Should Place An All-Porcelain Crown? Many general dentists will suggest a porcelain-fused-to-metal crown because the skills needed to do all-porcelain crowns are more demanding and may not have been taught in their dental school. If the dentin bonding isn’t done correctly, your crown could break. You may also suffer severe tooth sensitivity. To avoid these problems it is best to have a qualified cosmetic dentist place your crowns. Dr. Randall Burba is AACD accredited. You can be assured any smile he does will not only be correctly bonded, but natural-looking and artistic. They are not quite as strong as porcelain-fused-to-metal crowns. While some of the newer ceramics are quite strong, there may be some situations on very back teeth where the added strength of porcelain-fused-to-metal may be desirable, to withstand chewing pressure. If you aren't ready to schedule an examination but would like to know if you are a candidate for porcelain crowns, we invite you to schedule a complimentary consultation. Simply call our office, or if you prefer, click here to visit our request an appointment page.